This is a beautiful desert multi-day run. Unfortunately the season doesn't last as long as the stretched on the nearby Green and Colorady rivers so look to run this during spring runoff. This isn't a whitewater intensive section of the Dolores but is still worthwhile if you're in the area. A mid sized ramp and lot just off HW 141 in CO. Not much in this area of CO so plan accordingly. 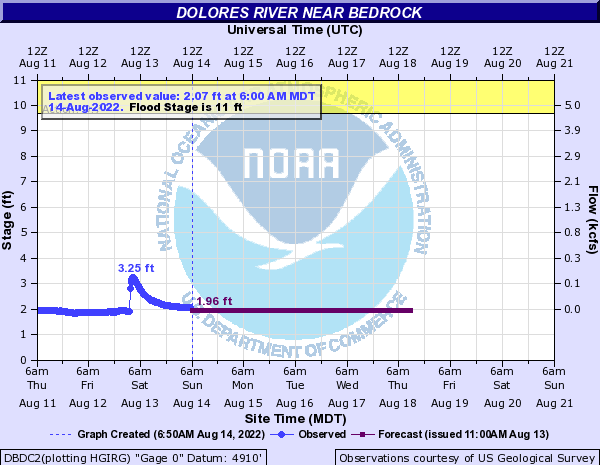 A few miles south from HW 90 near Bedrock, CO is another access point for the Dolores. Access is on river left.